Fiver could sense danger. Something terrible was going to happen to the warren; he felt sure of it. They had to leave immediately. So begins a long and perilous journey of survival for a small band of rabbits. As the rabbits skirt danger at every turn, we become acquainted with the band, its humorous characters and its compelling culture, complete with its own folk history and mythos. Fiver's vision finally leads them to Watership Down, an upland meadow. But here they face their most difficult challenges of all. 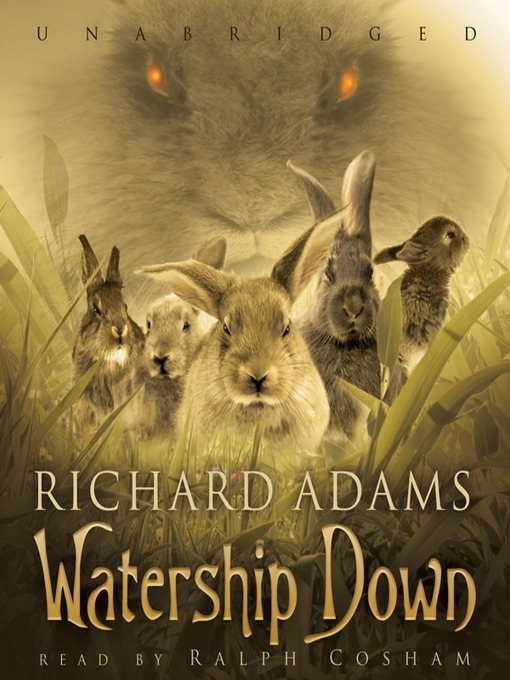 A stirring epic of courage and survival against the odds, Watership Down has become a beloved classic for all ages. Both an exciting adventure story and an involving allegory about freedom, ethics, and human nature, it has delighted generations with its unique and charming world, winning many awards and being adapted to film, television, and theater.